A single PRP injection can cost $1000. 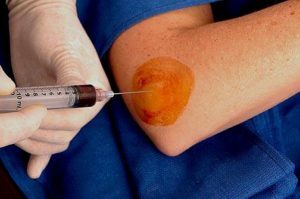 Once injected, PRP preparations can increase the growth factors up to 10x in the injured tissue. There are ways to prepare the PRP mix so it can be “sewn” into the injured tissue during surgery. Other than cost, there are no apparent contra-indications to using the PRP injections. As with most injuries, a consistent and progressive rehabilitation Physical Therapy program will help with the healing process following the PRP injection. You may have heard about Tiger Woods, Rafael Nadai and other famous athletes using Platelet Rich Plasma (PRP) injections to treat various injuries. Most of the time, musculoskeletal injuries begin resolving within a few weeks, but some injuries are so acute or show such slow signs of recovery that they threaten to become chronic in nature. In these cases, more and more medical professionals are using PRP injections when to stimulate the healing properties. While PRP injections have been around for 20+ years, they are becoming a standard choice of treatment and show promise to be a primary action taken in the future. Blood is fluid (plasma) that contains white and red blood cells and plasma. Platelets play a key role in clotting the blood and the healing of an injury by releasing specific proteins called “growth factors.” Platelet Rich Plasma contains 5-10 times more concentrated in growth factors than in normal blood. The growth factors are TGF-B (increases connective tissue), PDGF (attracts stem cells for repair functions), epidermal growth factor (stimulates connective tissue growth), vascular endothelial growth factors and fibroblasts growth factor-2 (stimulate oxygen and nutrient flow) and are absent or greatly diminished in the chronically injured body part. 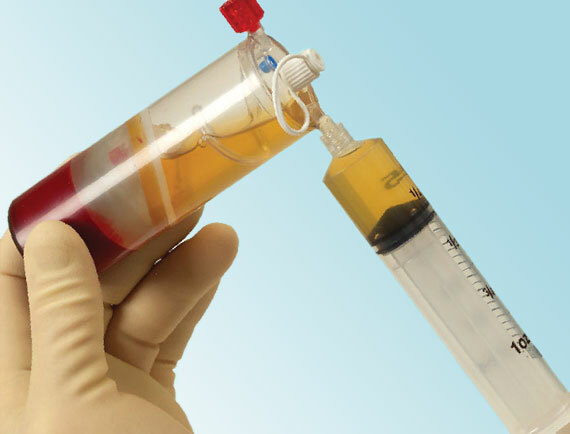 PRP therapy uses the patient’s own blood. The blood is placed in centrifuge and spun, and the separation process occurs. The plasma concentrated with platelets is injected into the injured tissue. The injection is usually guided by ultrasound imaging to assure for an accurate placement of the concentrated plasma mix. PRP injections are being performed on various types of injuries. The most common injuries are: tendinitis, osteoarthritic joints, acute muscle and ligament injuries, surgical patients and fractures. Some of these have responded better than others to the PRP mix. The scientific data is not conclusive on the effectiveness of the use of PRP injections on all of these conditions. Many people in the medical community want more definitive data on the effectiveness of the injection prior to using them as a primary aspect of their treatment protocol. Initially, Patients can expect to feel more pain following the injection. The process is invasive and a plasma mix is injected into the injured tissue. The body does not distinguish between good trauma and bad and the injection causes trauma to the tissue. The plasma mix increases the volume of fluid at the injury site and this can cause an increase in pressure that can be an irritant to the nerve that carries the pain signal to the brain. Consequently, the trauma from the injection and the increased pressure can cause more pain for a couple of days/ weeks. In many instances, it takes several weeks for the first signs of improvement to occur. PRP injections are expensive. A single shot can cost upwards of $1000, and there might be a need for more than one injection. Unfortunately, most insurance carriers do not cover the cost of the injection because they rate it as an “experimental” procedure; therefore you will have to pay out –of-pocket for this type of treatment. Following the PRP injection, the patient will be required to perform a comprehensive rehabilitation program designed by a Physical Therapist. This program might take several months to complete. Initially, the program will treat the symptoms that develop acutely following the injection. The second phase of the program will enhance the healing process by stimulating more blood flow to the injury site via exercise. The patient will perform a program that will progress according to the healing of the damaged tissue. The different stretches and strengthening exercises will promote proper orientation of new cells as the tissue heals. The final phase of the rehabilitation program will be geared towards strength and endurance development to promote the return to full function. PRP injections show promise to speed the healing process within many parts of the human body. There are people who use it in almost any phase of healing when the healing process needs a boost regardless of the specific tissue type. The proverbial “jury” is still out on the use of PRP injections, but they do show promise as another method of enhancing the healing process.